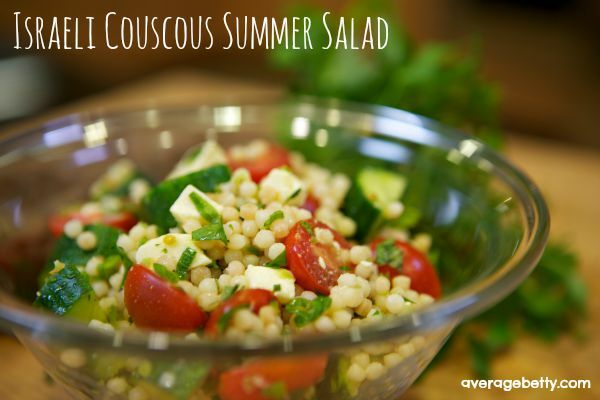 Russ Parsons, Columnist at Los Angeles Times, shares his recipe for Israeli Couscous Summer Salad with cucumber, feta, mint and a surprise of jalapeno. For added instruction and entertainment, watch the video! To see the recipe on the LA Times website, click here. NOTES: Serves 6. Get the original recipe and accompanying article at LA Times. 1) Slice the tomatoes in half lengthwise and place them in a medium mixing bowl. Add the salt, garlic, jalapeño, olive oil, lemon juice and green onions, and stir to combine. Set aside to let the salt draw out the tomato juices. 2) Toast the couscous in a dry medium saucepan over medium-high heat and cook, stirring frequently, until it smells nutty, 3 to 5 minutes. Add 3 cups water and 1 teaspoon salt, and bring to a boil. Reduce heat and cook, partially covered, until the couscous is just tender but still a little chewy, 5 to 7 minutes. Drain, rinse under cool running water and shake well to remove as much moisture as possible. 3) While the couscous is still slightly warm, add it to the tomato mixture and toss to coat. Set aside to cool completely. 4) Add the cucumbers, feta, mint and parsley just before serving, and stir gently to combine. Add black pepper to taste and stir that in. Taste again and add more salt or lemon juice if your think it’s necessary. 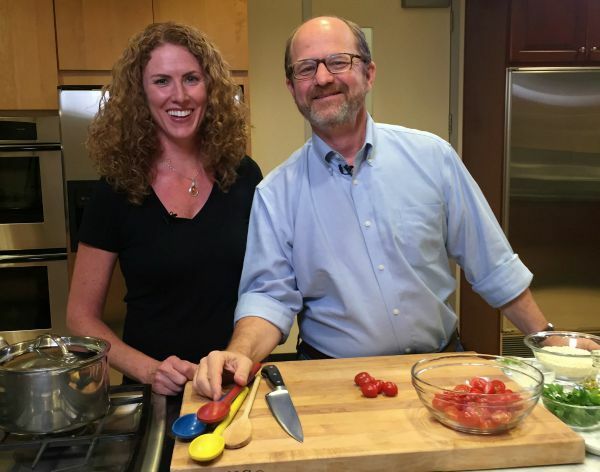 For added instruction and entertainment watch the Russ Parsons’ Israeli Couscous Summer Salad Video. 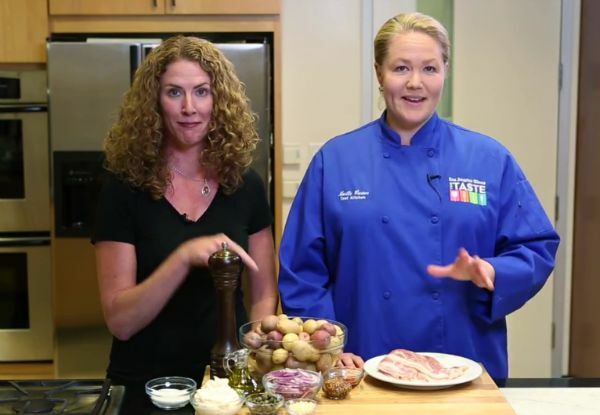 I also made Roasted Potato Salad with LA Times Test Kitchen Director, Chef Noelle Carter as part of this preview of The Taste 2015. Check it out!